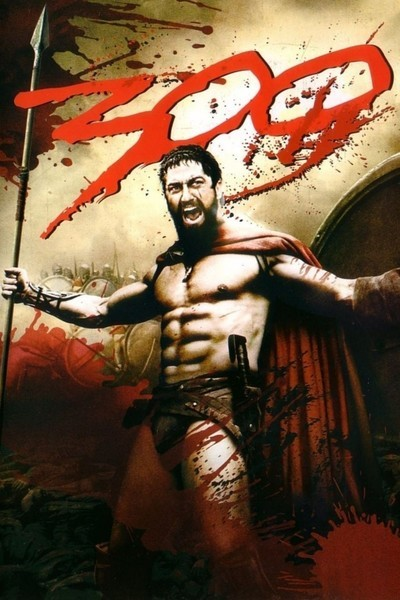 Most of you will already be aware of the premise of 300, the film having been pretty heavily promoted. To recap: Xerxes, ruler of the Persian Empire, wants to conquer Greece, and Leonidas, king of Sparta, isn’t cool with that. Unable to muster the entire Spartan army, he leads 300 men to Thermopylae, and there manage to hold off the massed hordes of Asia for three days, buying enough time for the rest of Greece to muster its forces and win the day. Hooray for Sparta! Now, I don’t actually mind that they gloss over the fact that the Athenians were responsible for winning the final battle against Xerxes when they sank his fleet, having abandoned their entire city so they could go and prepare an ambush. Similarly, I don’t mind that Sparta is portrayed as being more democratic and nice than it was – Julian (whose Ferretbrain review of the film has doubtless already has been published, or is about to be published) pointed out that at no point did we see any of the slave-caste that the Spartans hunted for sport, for example. This was a movie, after all, not a history lesson, and it would have been difficult to engage a modern audience if the Spartans hadn’t been made acceptable in some respects to a modern audience.